Brooke has been a software engineer specialising in applications development since the early 90's and has extensive experience in a number of languages and related areas and has worked in big name companies in the Aerospace, EHealth and science industries. Brooke has also worked in the legal industry and in government. Brooke's main areas of expertise are Relational Databases, Java EE, Java SE, Java Fx, Maven, Perl, Omnimark, Bash, C-shell, SGML & XML Documentation and publishing, structured and unstructured text file parsing, Open-source software and Agile development. Brooke is very skilled with Python, Ant and Ivy. Brooke has good experience with many other software development languages including C, C++ and Pascal. Brooke is well versed in methodologies including SDLC, Waterfall, RUP, TDD and BDD, and with Version Control Systems such as rcs, cvs, svn and git. 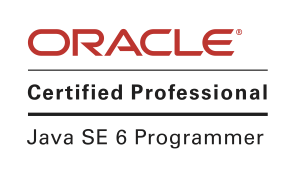 Brooke is an Oracle Certified Professional Java Programmer (OCPJP; Formally SCJP). Brooke's other passion is the environment and spent a number of years as a member and chairing the Environment Committee for Boeing Australia. Brooke was also a volunteer IT Consultant at Friends of the Earth Brisbane. Brooke's goal is to tie together his love of Software Engineering with the Environment. As for hobbies Brooke enjoys keeping active. Once upon a time it was by doing bush walking, swimming and dancing (Rock N Roll, Swing, Latin and Ballroom); but now its chasing children.